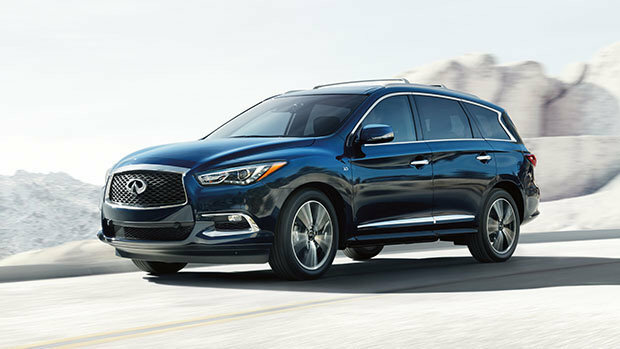 The new 2019 Infiniti QX60 is playing hard to get and we are eagerly awaiting its arrival at your Infiniti Spinelli dealership this summer, don’t miss out on it! 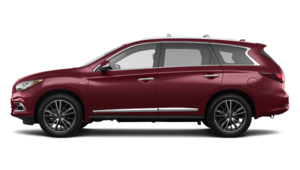 Little is still known about the new 2019 Infiniti QX60, and even less about its price. What we know however, is that it made its debut at the New York International Auto Show, that it will offer new, more luxurious versions, and it will roll on 20-inch wheels and have quilted leather-appointed seating. From this summer onwards, we will start to see the all-new 2019 QX60 in the streets of Montreal, the West Island and Laval. It will keep the same powertrain, namely a 3.5-litre V6 engine that generates a formidable thrust of 295 horsepower. The 2018 version of the QX60 is sold at a starting price of $50,090, we might deduce from this that the price of the 2019 version should not be too far from that number. In 2017, the QX60 obtained the highest safety rating from the IIHS (Insurance Institute for Highway Safety), which says a lot about its characteristics. In its 2018 version, the QX60 with all-wheel drive is powered by a 3.5-litre V6 developing 295 horsepower and a torque of 270 lb-ft, paired with an Electronically controlled Continuously Variable Transmission (CVT) with manual shift mode that offers sequentially selectable manual gearshifts. Among its countless qualities, we find a power moonroof, a power liftgate, the InTouch system with 1 screen, the Infiniti Intelligent-View Display centre, an 8-inch colour display and a backup camera, just to name a few. As all Infiniti SUVs are filled from bumper to bumper with the latest technologies as well as every conceivable safety feature, it is very likely that the upcoming 2019 QX60 will be as much, if not more. However, as it is still making its way to us, we will have to wait until this summer to explore all its facets, and we look forward to it. Don't miss it at your Spinelli Infiniti dealership in Montreal, only a few minutes from the West Island and Laval. Other details will follow as we move closer to its arrival, so don't hesitate to contact us.